and other Provinces within South Africa. At PPS we offer professional Polygraph examination services in and around Cape Town, Western Cape and other Provinces within South Africa. PPS is a well established professional South African investigation consulting company specializing in Polygraph examinations conducted by internationally trained examiners, as well as private investigations services. Our Polygraph examination services are primarily focused in and around the greater Cape Town area. The term "Polygraph" literally means "many writings". The name refers to the manner in which selected physiological activities are simultaneously recorded. The examination is used to verify a person's truthfulness, and is often called a lie detector test. It is important to understand what a Polygraph examination entails. 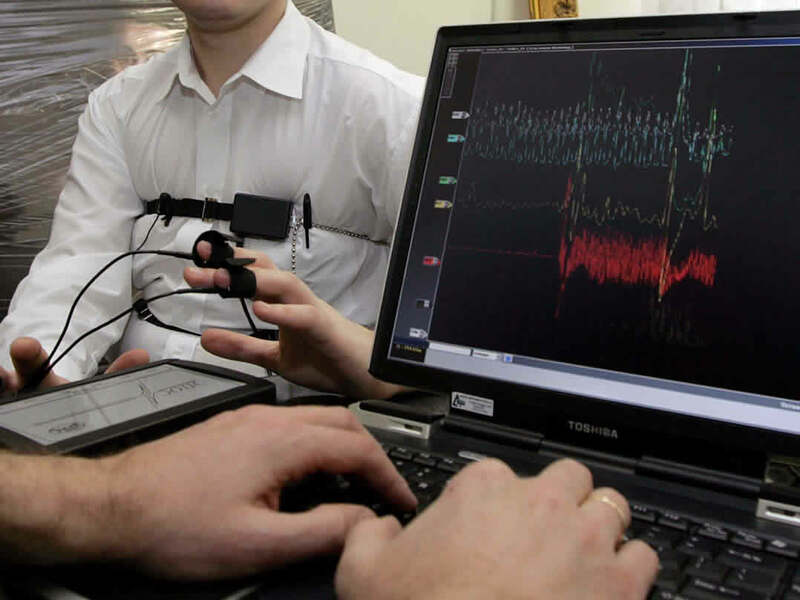 A Polygraph instrument will collect physiological data from at least three systems in the human body. Convoluted rubber tubes that are placed over the examinee's (person being examined) chest and abdominal area will record respiratory activity. Two small metal plates, attached to the fingers, will record sweat gland activity, and a blood pressure cuff, or similar device will record cardiovascular activity. A typical Polygraph examination will include a period referred to as a pre-test interview, an examination question instrumentation chart collection phase and a examination data analysis phase. In the pre-test, the Polygraph examiner will complete required paperwork and talk with the examinee about the examination. During this period, the examiner will discuss the questions to be asked and familiarize the examinee with the examination procedure. During the chart collection phase, the examiner will attach the instruments to the examinee, and administer and collect a number of Polygraph charts. Involuntary physiological reactions when a subject is lying are then recorded by the instrument, and interpreted by the examiner. A combination of relevant and irrelevant questions are asked, and the same questions are asked more than once, in order to verify the responses. Following this, the examiner will analyze the charts and render an opinion as to the truthfulness of the person taking the test. The examiner, when appropriate, will offer the examinee an opportunity to explain physiological responses in relation to one or more questions asked during the test. It is important to note that a Polygraph does not include the analysis of physiology associated with the voice. Instruments that claim to record voice stress are not Polygraphs and have not been shown to have scientific support. Our examiners at Peninsula Polygraph Services are among a few Polygraph examiners who received training at the leading APA (American Polygraph Association) accredited international Polygraph training facility MICJ (Maryland Institute of Criminal Justice) in the USA. Our Polygraph examiners have been conducting Polygraph examinations for over 20 years and therefore have a wealth of experience in Polygraph solutions, investigative techniques and HR related matters. This experience and knowledge can therefore benefit our customers and assist in solving problems, through open and collaborative partnerships. We offer honest and impartial advice and assistance in resolving issues in a professional manner. Attention Peninsula Polygraph Services thank you for the fast, professional, and effective call to action. Your services helped us clear up various issues within our business without hassle. Regards D Koonin Pinstripe Promotions. Dear Mr Reddy Peninsula Polygraph Services J Schipper and Sons management would just like to say thank you for conducting the investigation into to copper theft, identifying the culprits assisting in the dismissals and helping us to obtain succesful dismissals upheld by the CCMA. © 2018 Peninsula Polygraph Services. All Rights Reserved.